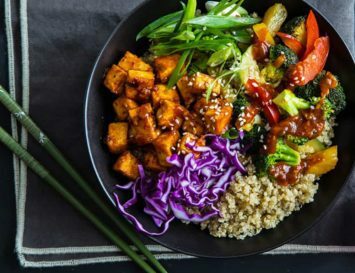 What’s the secret to a tasty vegan diet? Well, for one thing – fresh produce. Since we’re talking about plant-based dishes here, if your plants aren’t fresh, flavour will likely be lacking. But there’s something else that makes a huge difference to vegan cuisine: must-have vegan sauce recipes. I mean, a cauliflower is a cauliflower is a cauliflower (to paraphrase Gertrude Stein), but add some vegan cheese sauce, and damn – that’s a whole other thing! 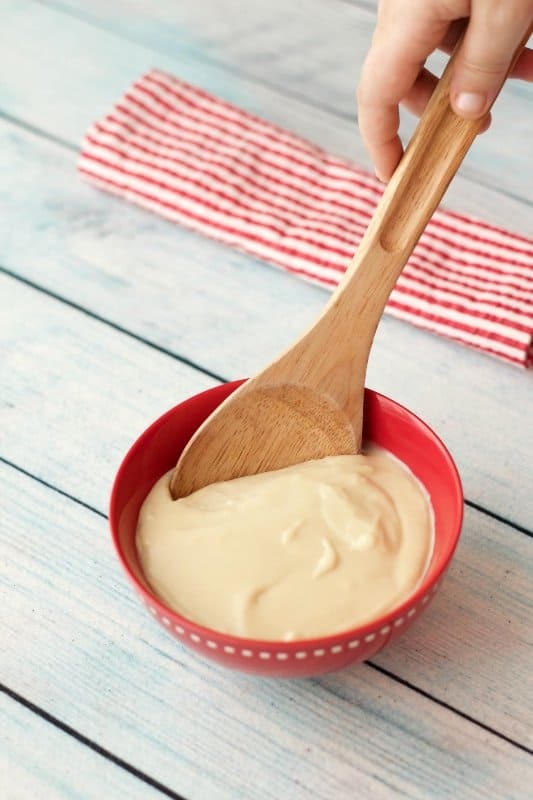 Any good cook needs to know how to not only make the basic sauces (like that aforementioned cheese sauce), but also some that are more complex and on the gourmet side, like Hollandaise or pesto. 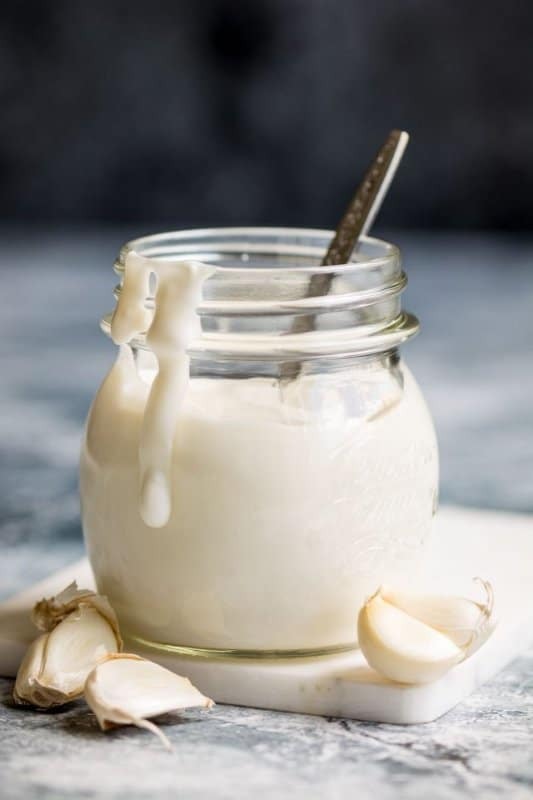 But there are other good reasons to learn how to make your own sauces: they’re going to be a lot healthier since you’ll not be including the usual chemical preservatives and colourings, and also, they’ll be guaranteed to be vegan-friendly, absent of all cream, milk, eggs and other animal products. You can store some of these in jars for months, and even give away beautifully packaged sauces as tasty gifts. Bring brunch to life with this rich, creamy vegan Hollandaise. It’s perfect for adding to tofu scrambles, or chickpea-based omelettes! Remember when you used to dip toast soldiers into egg yolks as a kid? I know I sure do! I actually loved the combination of rich, hot yolk with the salty, buttered toast. But now, as a grownup vegan, I make this healthier version – which tastes just as good! Get exotic with your cooking! 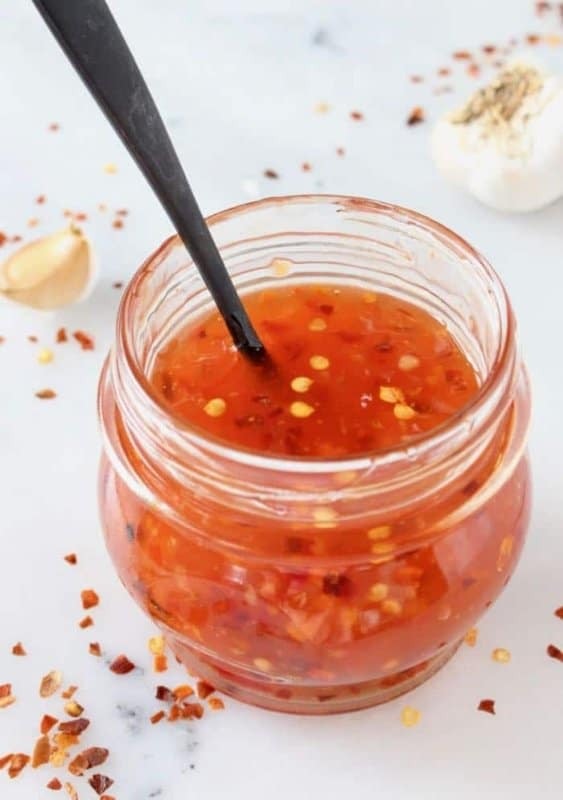 This picante, Portuguese inspired Piri Piri sauce goes perfectly on homemade pizzas, in stir fries, or with tofu. Dressing? 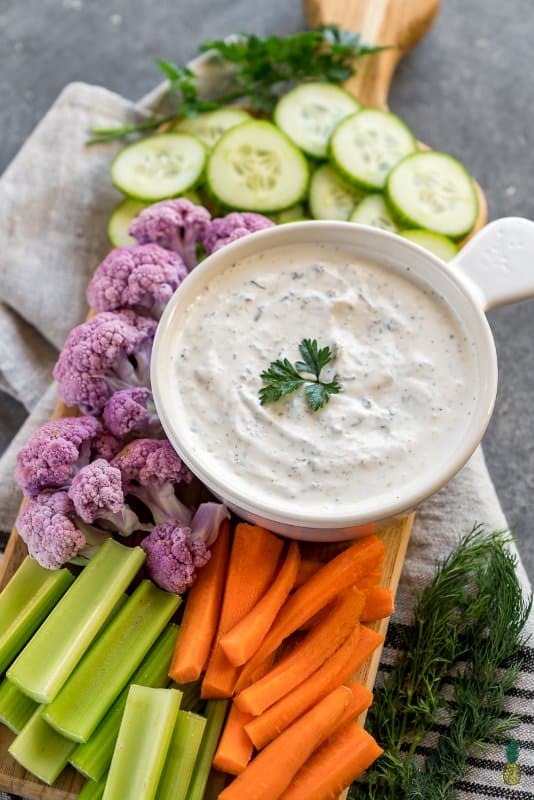 This is so rich, it can be used as a dip for carby things like pita triangles, crackers or toast, too. If you’d prefer to use it as a salad dressing, just add a bit more cider vinegar to thin it up a bit. The best part? It only uses 8 ingredients! 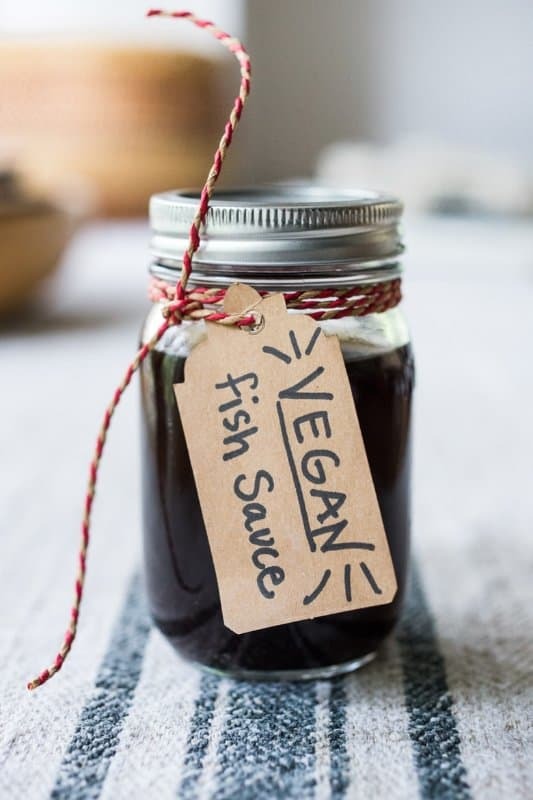 This is a must-have in any vegan kitchen! It goes beautifully with not only broccoli, cauliflower and other veggies, but of course, stirred into macaroni, it brings a bit of heaven to your table. This is super healthy, and easy to make, too! 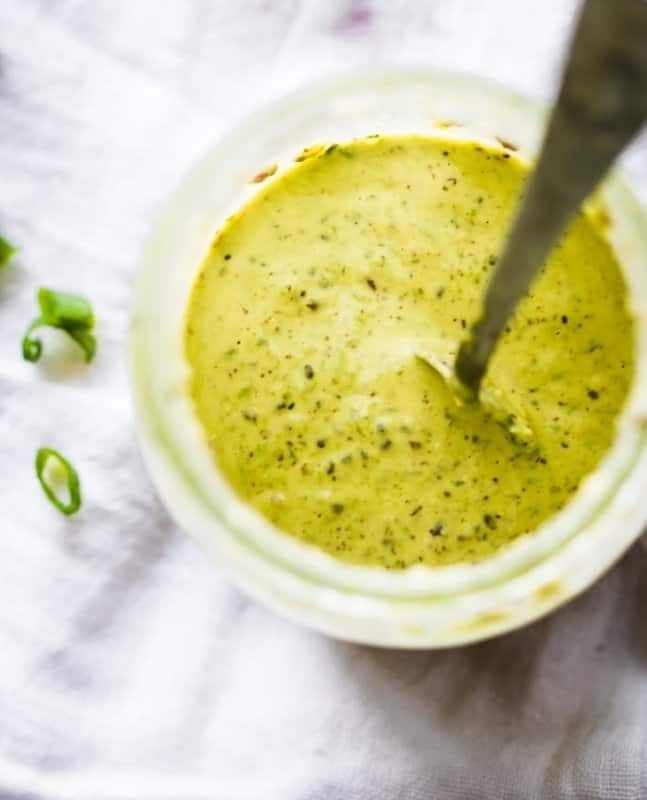 It works wonderfully as a salad dressing, but can also be used on pasta, or as a dip. Calling all green goddesses! 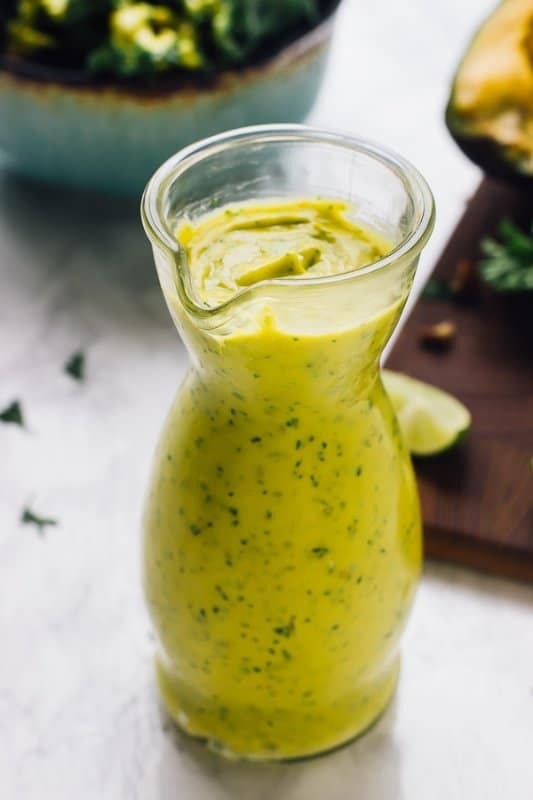 Get in touch with your Pachamama roots and pay homage to the health of your beautiful body by nurturing it with this now-classic salad dressing. It’s Paleo-friendly and perfectly healthy, too. Call me stupid, but I was pretty shocked when I learned pesto wasn’t vegan (cheese! I had no idea…!). 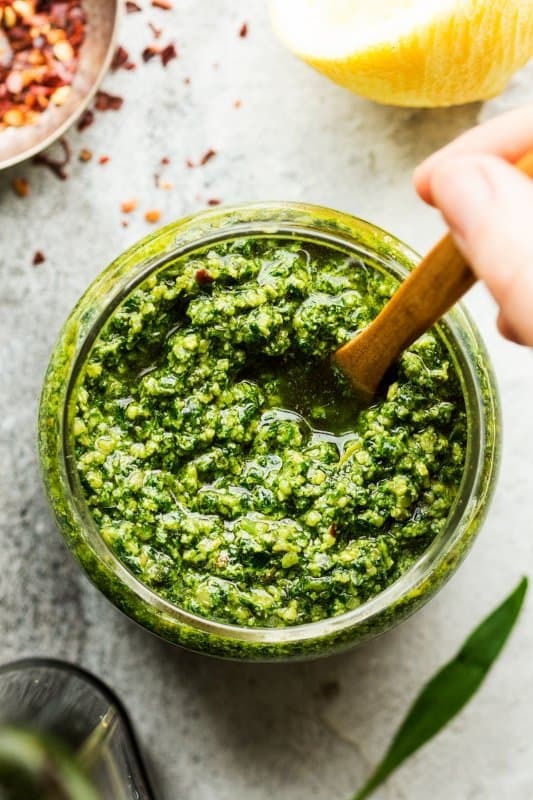 Since pesto is one of my very favourite flavours ever (I even dip crackers into it), but vegan versions aren’t readily available in the supermarket, I was thrilled when I found this vegan recipe. I once asked for vegan food in a restaurant in Texas. They told me I could have the chicken caesar, without the chicken. I explained that the dressing was made of anchovies, cream and eggs, so basically, they were offering me a plate of Romain lettuce! 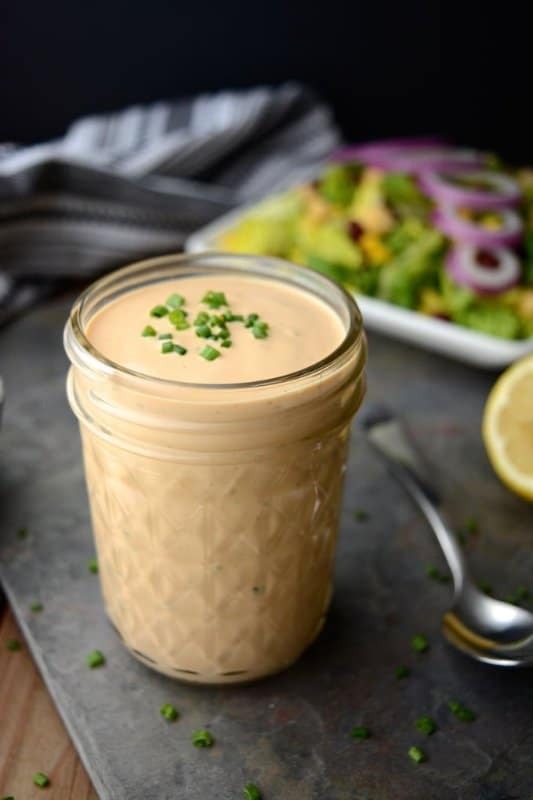 Now, we vegans can also hail Caesar with this totally plant-based dressing, that still has all the flavour of the traditional version. It seems that BBQ sauce is one of those things that only comes in bottles or packages. It’s like some corporation owns the rights to making it or something! But nope, it’s easier (and healthier) to make at home than you’d think, and you can bottle this up in your fridge for months to come. It’s great for spreading on grilled aubergines, tofu or even using on your vegan burgers. 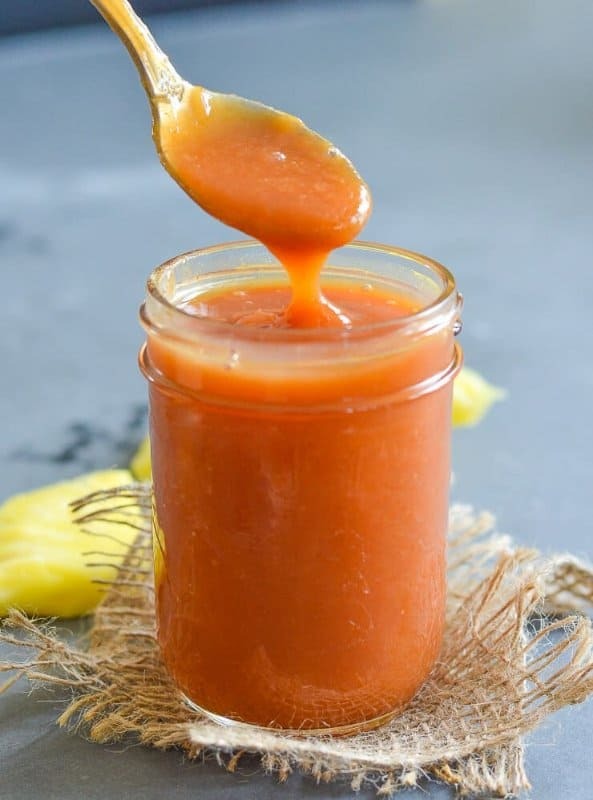 I had no idea sweet and sour sauce wasn’t vegan friendly until recently, so I was pleased to find this recipe. As an added bonus, you can control the sweetness of your sauce yourself with this, and of course, it doesn’t come with the usual MSG and weird chemical colourants. As a Brit, I was disillusioned to learn that this is yet another sauce that’s not usually vegan, due to the fishy ingredients. 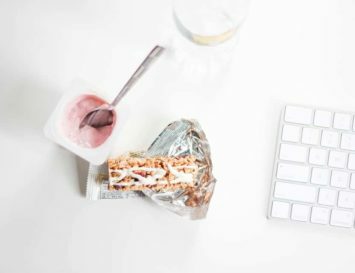 This is my new go-to version, which I dump onto my weekend English breakkies – especially on the vegan sausages! But you can also use this in drinks, if you’re a fan of the Bloody Mary. As with BBQ sauce, ketchup seems to be one of those things that Heinz invented. But that’s simply not the case. Ketchup was known for yonks as simply ‘tomato sauce’ (and still is, in some parts of the UK), long before Italian immigrants brought us the stuff we now put on pasta. 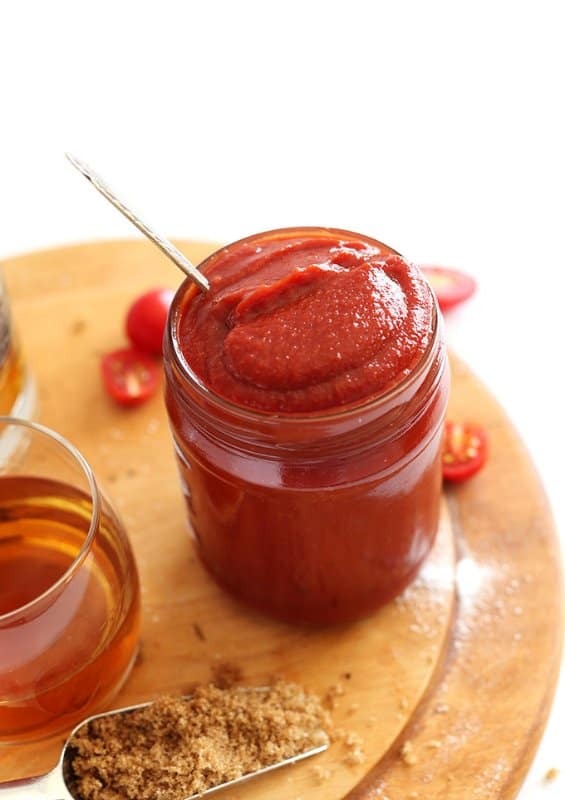 Ketchup is easier to make at home than you’d think, and adding a touch of whiskey makes it a little more adult-like, too. 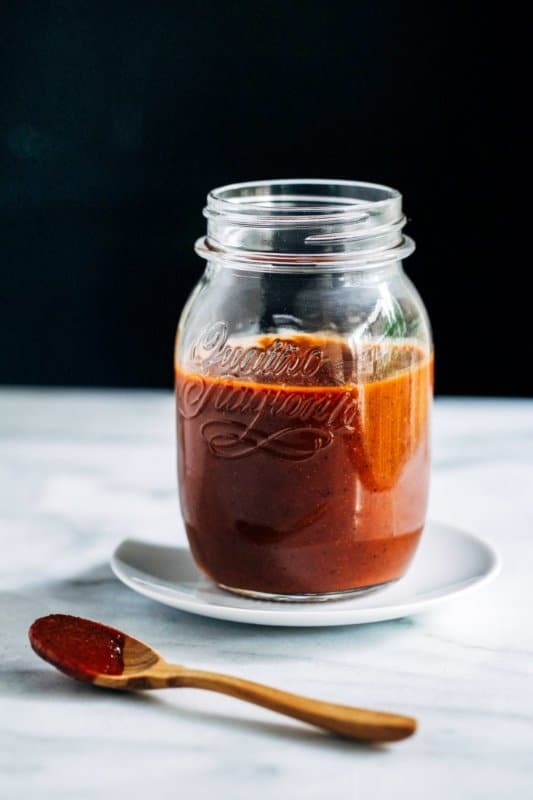 This recipe takes two American classics – BBQ sauce and Ranch Dressing – and combines them into one sauce that’s gorgeous when used on summer salads, or as a dip for crudites. Love Chinese food? This is a sauce you should always have on hand, then! It stores in the fridge for months, and also makes a great, exotic gift. Get dipping those spring rolls! 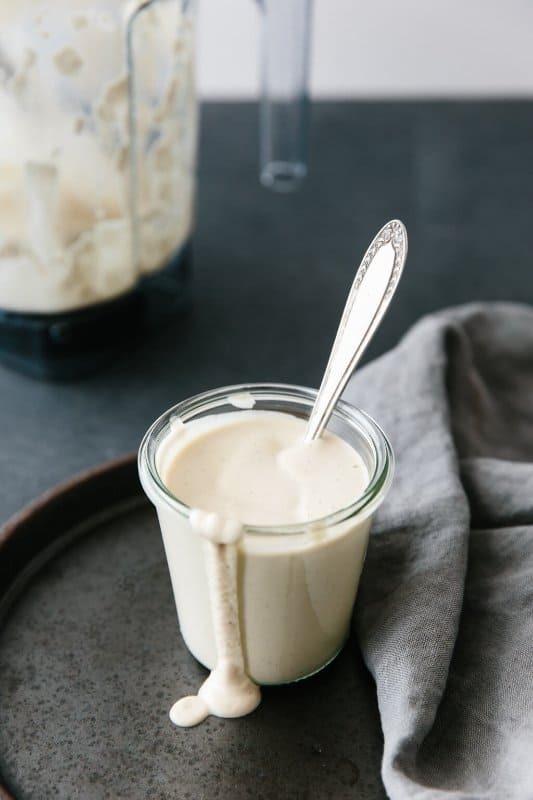 A vegan mayo should be a staple recipe in any plant-based kitchen. 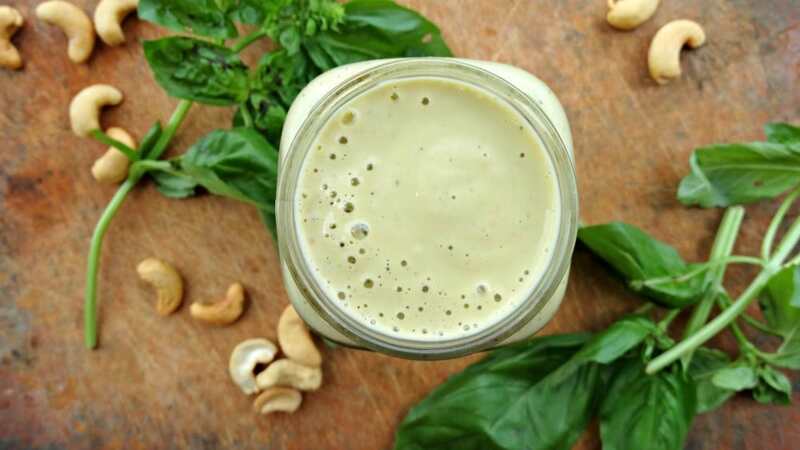 Not only can you use this nut-based sauce on the obvious things, like sandwiches, but it also forms a great foundation for building new sauces and dressings, like Green Goddess or Ranch. Ok, I know that salsa is vegan anyway, so there’s no need for a vegan version, per se. But as my loyal readers will know, I’m such a huge fan of Mexican food, I just couldn’t leave this one out! 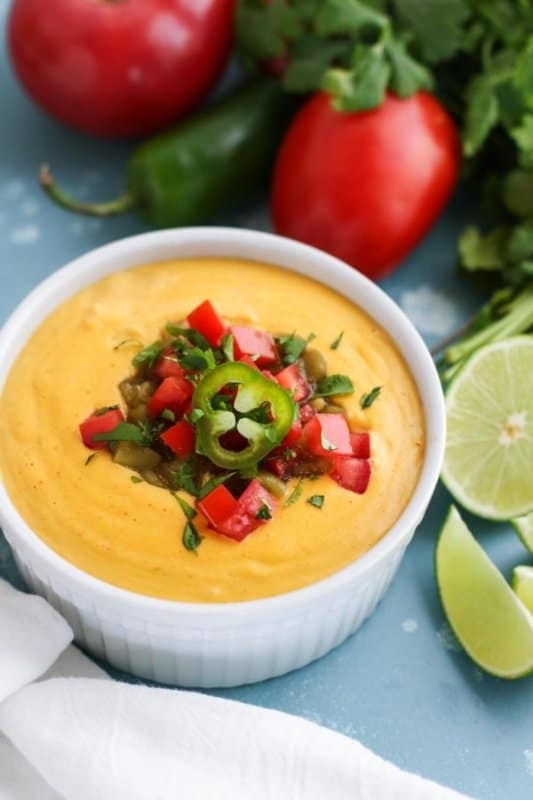 Make some vegan nacho sauce along side this, and have yourself a food fiesta with some organic tortilla chips! 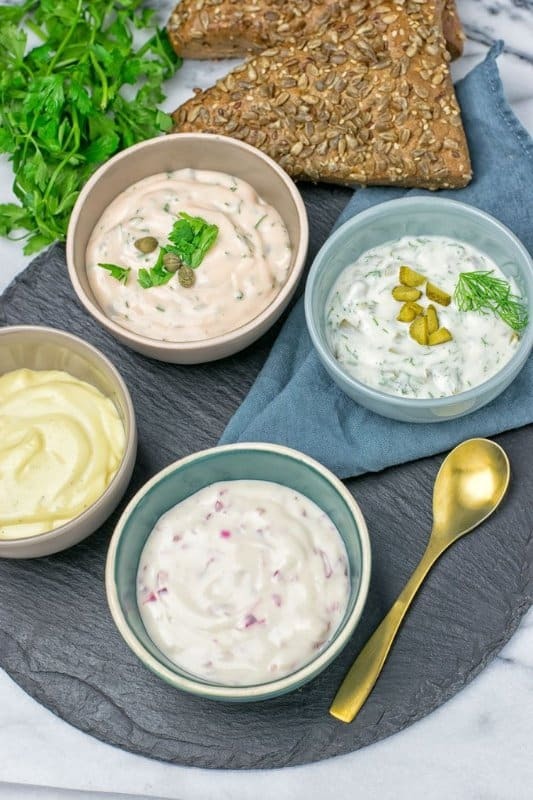 If you’re not eating fish, it’s still nice to have a tartar sauce recipe (or four, since there are four versions offered below). Seriously! There are lots of dishes you can use this for: wraps, sandwiches, burgers, and ‘fishy’ vegan dishes like these. Love Thai or Vietnamese food? You’ll need this! 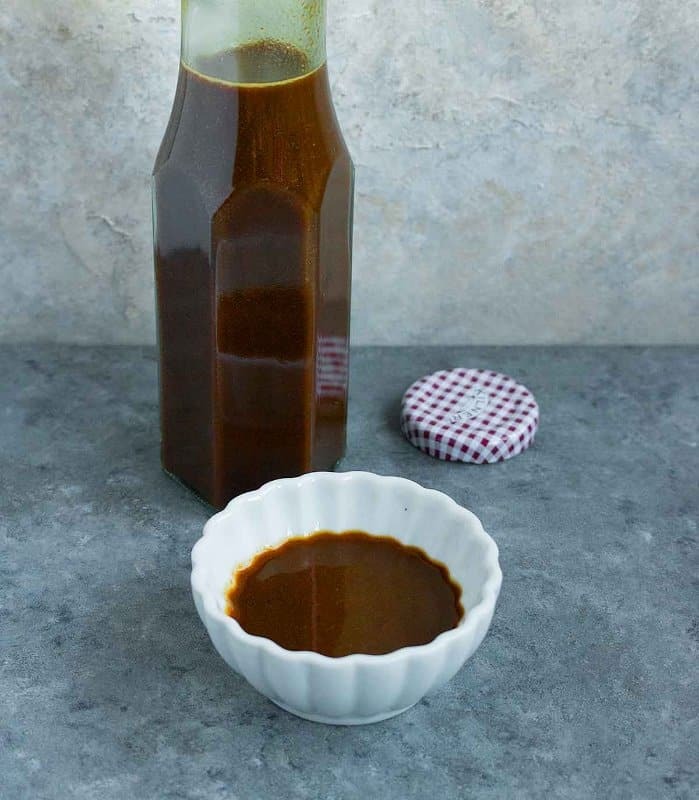 Fermented fish sauce is a staple flavour in those cuisines, so if you’re planning to make some authentic tasting pad thai or pho, for example, you’ll need to get cooking. It also lasts for ages in jars, and makes a great gift for your favourite foodie. Ah, Italians! They really do make beautiful food, but there’s a whole lotta dairy in there, unfortunately. 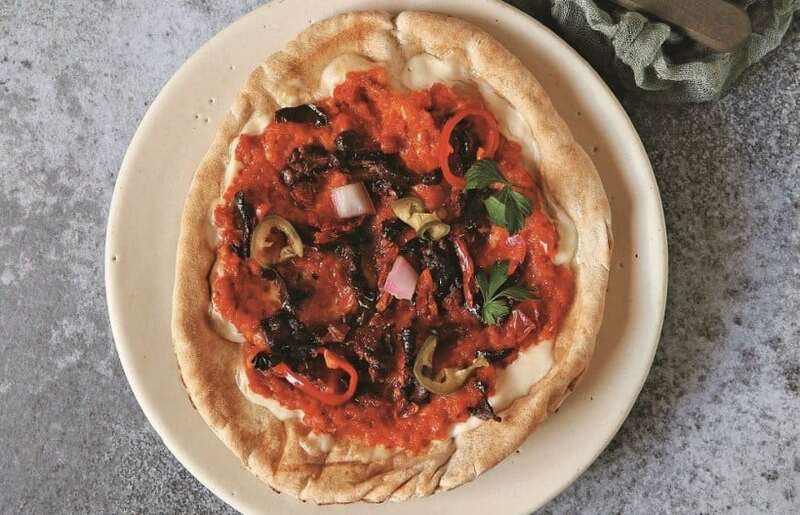 Nut now, you can enjoy authentic tasting lasagne, cannelloni and other pasta dishes, thanks to this vegan version of the popular European sauce. 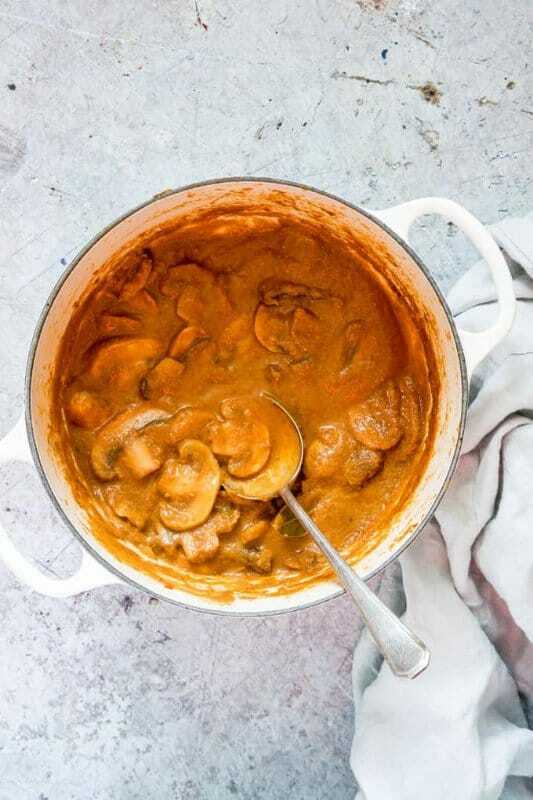 Sure, peanut sauce sounds vegan, right? But there’s often some fermented fish sauce in South East Asian versions. 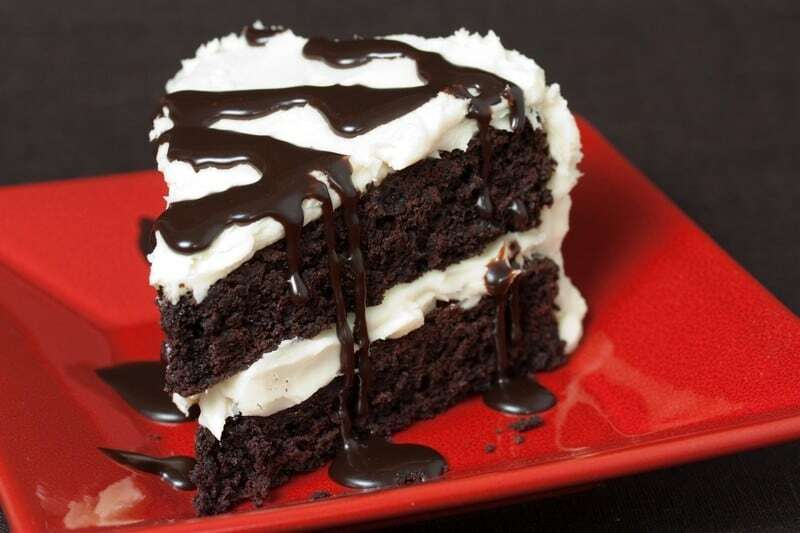 This one, of course, is 100% vegan, and has all the sweet-and-salty savouriness that we love! Great for stir frys. Indian food is sooo tasty! But it can be really rich, due to the amounts of ghee and cream they put into their sauces. This Masala offers all the flavours of the subcontinent, but the creaminess comes from plants, not animals. Bored with runny, watery tomato sauces on your pasta? This version offers the chunky goodness of a Bolognese, but without the dead cow. The best part? The ‘meaty’ stuff is just aubergine, not nasty, chemical ridden fake vegan beef. My editor, Chere, made me include this one. 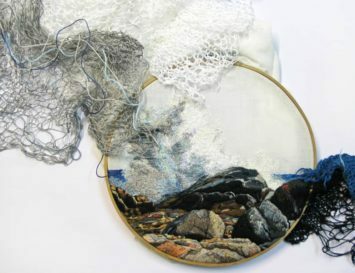 Her roots are a mix of Italian and Eastern European, and she said this reminded her of her childhood. 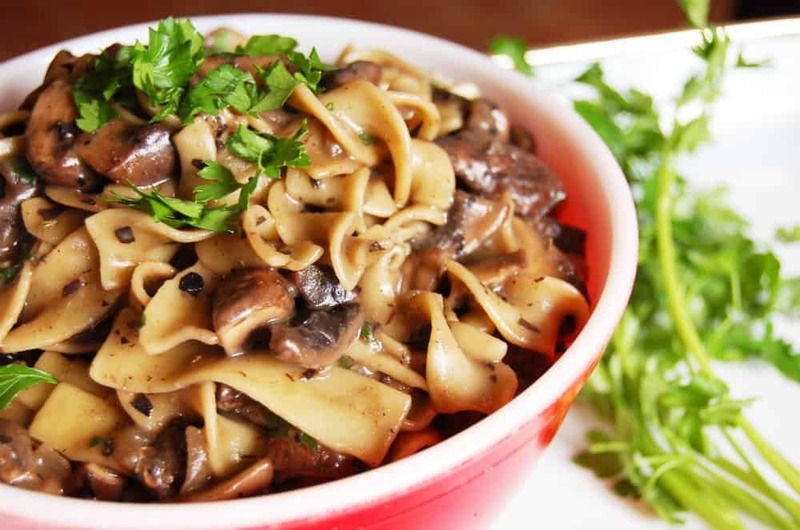 I’ve never tried Strganoff, to be honest, but she says it’s all about the meaty, mushroom goodness, given a creamy texture, piled onto steaming hot noodles. Sounds good to me! Have I mentioned my love of garlic? Well, this classic Italian pasta sauce has it, in spades, along with that hot, comforting combo of salty and creamy flavours that many of us crave when colder weather or cravings for home cooking come calling. 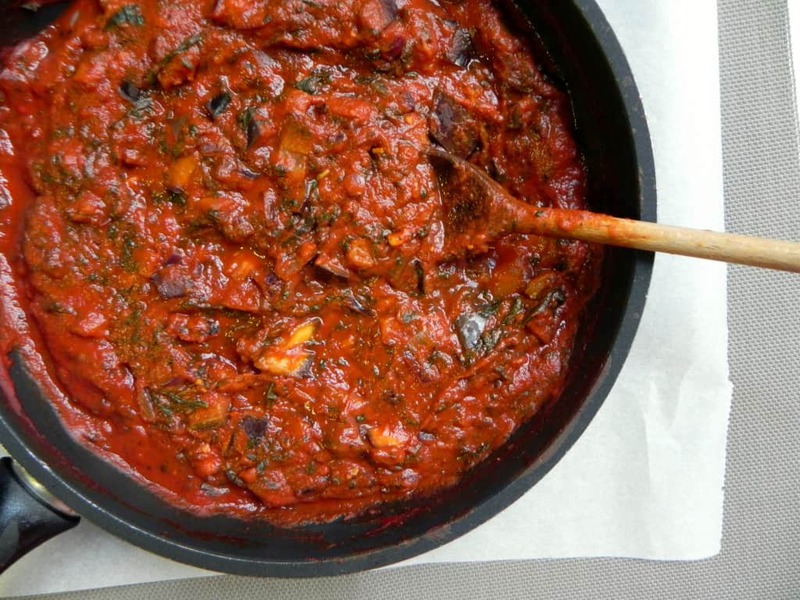 Sauces aren’t just savoury, of course! The sweet ones are just as important, and salted caramel is a classic. 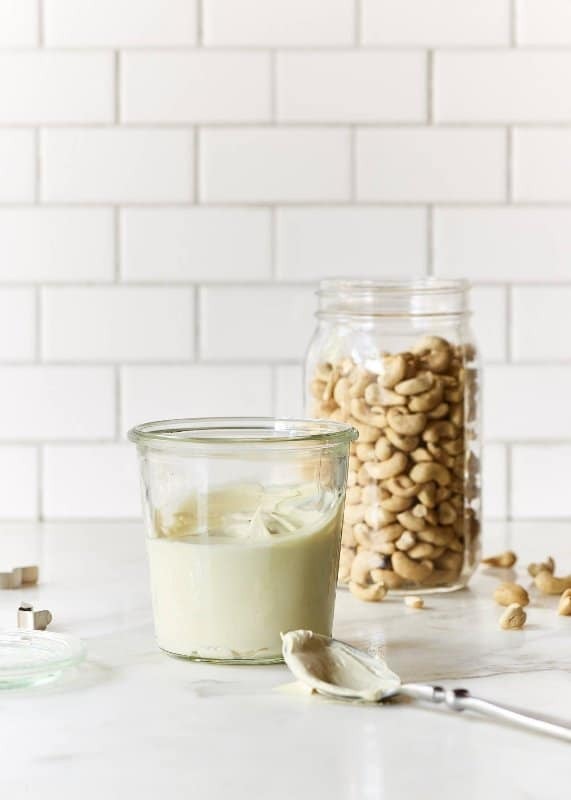 You can make jars of these as gifts, and keep some on hand to dump deliciousness onto everything from popcorn to pancakes. 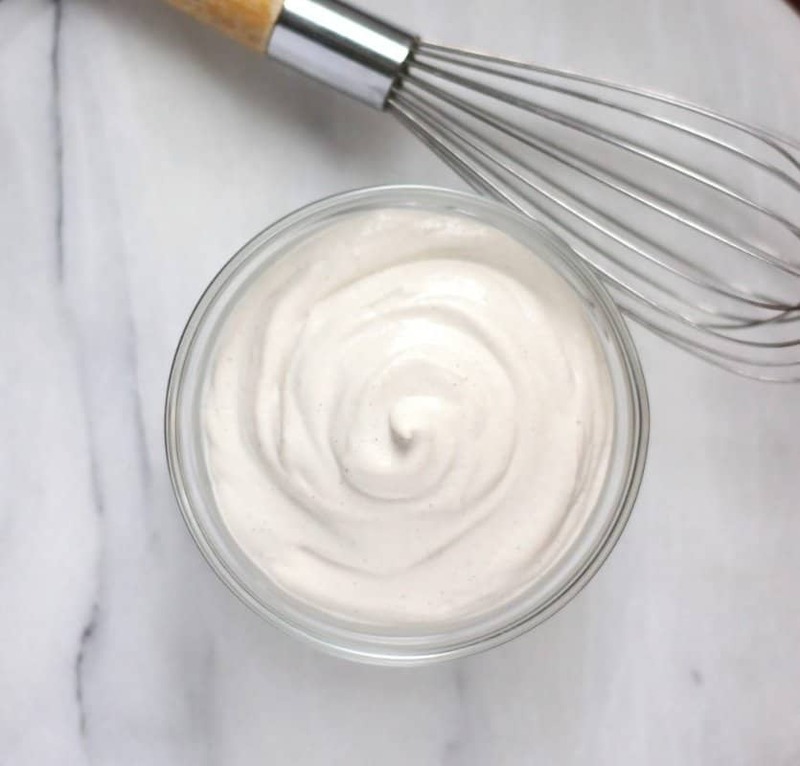 Ok, so it’s not really a sauce as much as a topping, but hey, let’s not nitpick – all dessert lovers need to have a whipped cream recipe on hand! 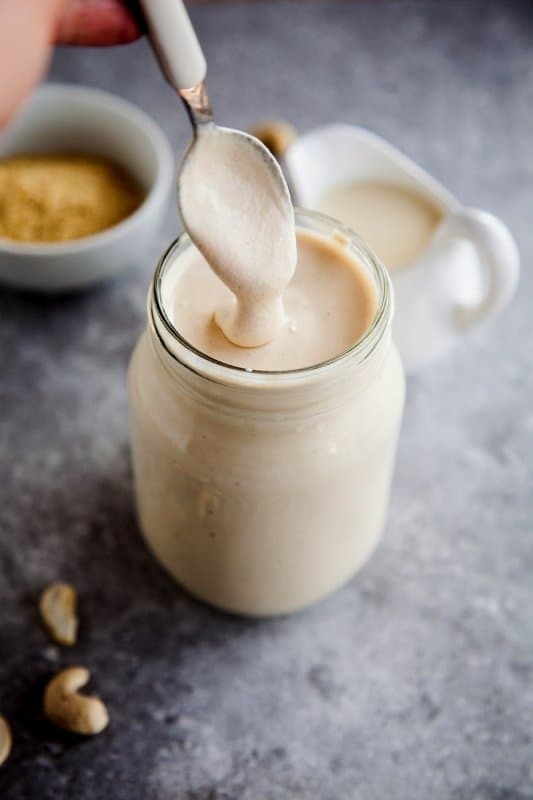 While making one from coconut milk is probably the easiest pick, this is a great option for those who aren’t all that fond of tropical coconutty flavours. A super classic, this also jars well to make a fab gift for your friends with a sweet tooth! They can pile it on ice cream, cakes, and even waffles or pancakes. 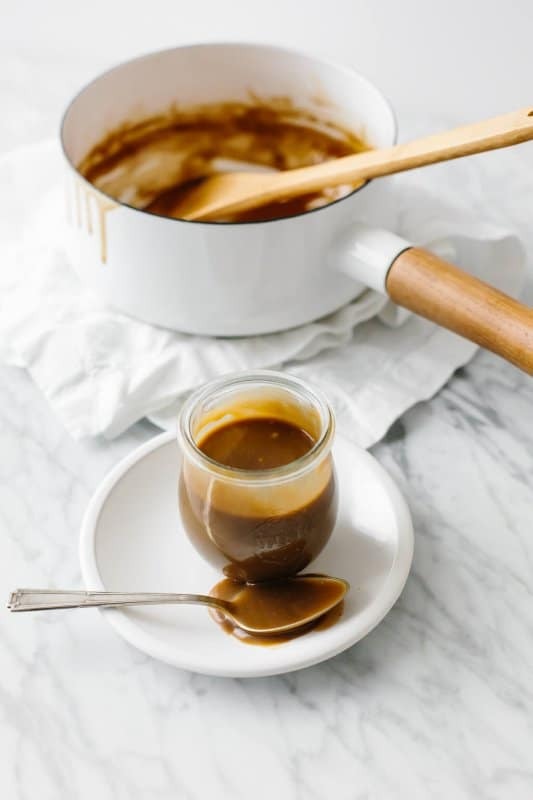 Dulce de leche means ‘sweet milk’ in Spanish, and it’s a super-classic in Argentine dessert making. 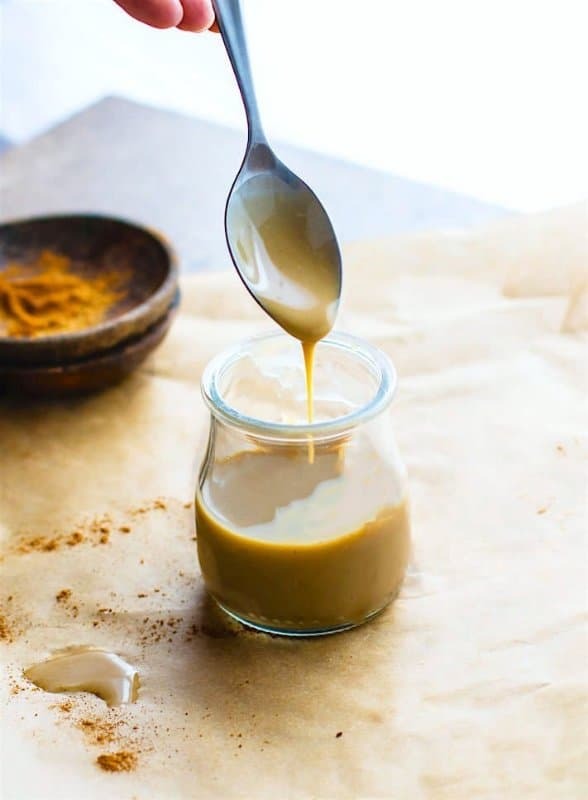 Now, you can make this gorgeous, caramel-like sauce with vegan mylks, and use it as a filling in cakes, on pancakes, ice cream, and even toast! Main image credit and recipe here. Thank you for including my sauce! Such a lovely selection of sauces that I really must try.